Lake Tahoe Triathlon is proud to partner with the Crohn’s & Colitis Foundation and Team Challenge. The Crohn’s & Colitis Foundation is a non-profit, volunteer-driven organization dedicated to finding the cures for Crohn’s Disease and ulcerative colitis, and to improving the quality of life of children and adults affected by these diseases. Whether you walk, run, swim or bike, Team Challenge is about so much more than the race! We are a community, a family bonded together for a purpose much larger than ourselves – to help find cures for the 1.6 million Americans living with IBD. Lake Tahoe Triathlon is proud to partner with the Sierra State Parks Foundation. Tahoe-Truckee area California State Parks are unique treasures. We provide critical program, volunteer and financial support to our valued cultural and natural resources. Because of our work, our parks will continue to be places of education and inspiration for generations to come. $1 of every registration for the Lake Tahoe Triathlon goes towards specific projects in the Tahoe California State Parks. 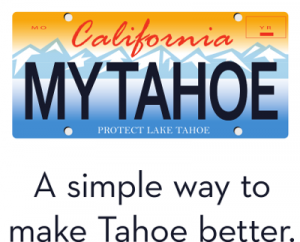 Lake Tahoe Triathlon is proud to partner with The Tahoe Fund to promote the Lake Tahoe License Plate Program and the funding that is used to build, maintain and protect the trails, water quality, wildlife and forest health of the Lake Tahoe basin.